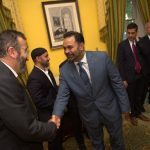 In solidarity with Muslims observing the month of Ramadan, the Office of the Mayor of New York City held its annual iftar dinner, which was co-sponsored by Zakat Foundation of America (ZF). 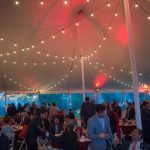 The iftar was hosted at the historic Gracie Mansion in Manhattan and guests included prominent Muslim-American leaders, as well as the consul generals of Bangladesh, Turkey, Kosovo, and Pakistan. 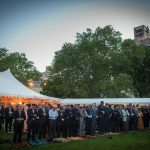 Khalid Latif, NYU’s Muslim chaplain, announced the call to prayer, which was led by Ebad Rahman, a ZF volunteer and Columbia University student. 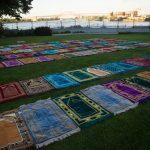 At least half a million Muslims live in the New York City metropolitan area. Recently, ZF opened its new office in the heart of Manhattan. “There are 900 Muslims in the NYPD making America great every day and we are proud of them,” said Mayor Bill de Blasio. 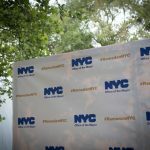 In her speech, Chirlane McCray, the first lady of New York City, discussed the importance of mental health. Murat Kose, ZF’s East Coast Programs Director, had the opportunity to talk to the first lady and shared ZF’s commitment to mental health services. Mrs. McCray said she heard about ZF’s Khalil Center project and would be interested in collaborating. With a brand new office in Manhattan, ZF hopes to expand its humanitarian mission through additional programs and services. 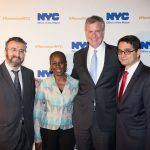 As an organization, ZF is glad to receive the support from progressive political figures such as Mayor de Blasio and looks forward to working with the Mayor’s office.